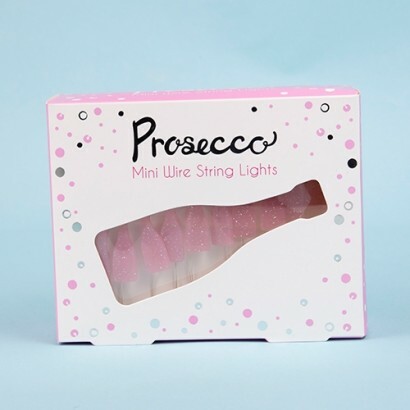 Delicate and full of sparkle just like the real thing, these sweet mini Prosecco bottle string lights are perfect for parties or for decorating your home with little reminders of good times had. 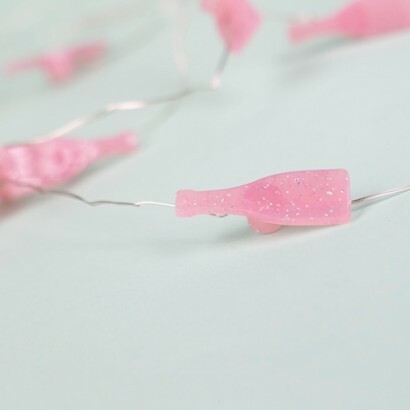 Each mini pink Prosecco bottle is decorated with glitter for extra sparkle and lit with a warm white LED for soft fairy lighting making them perfect for party Princesses! 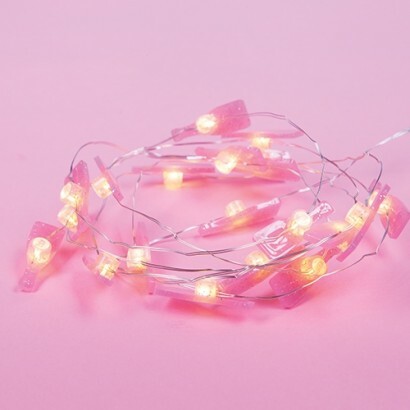 Battery operated and on poseable silver wire, these delicate mini string lights can be placed anywhere for playful feature lighting or as a table decoration.